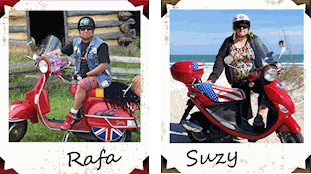 Shown on a 2005-2011 Piaggio Fly, you will need to select your year. The 2012 and later seats have a bag hook in the front of the seat. 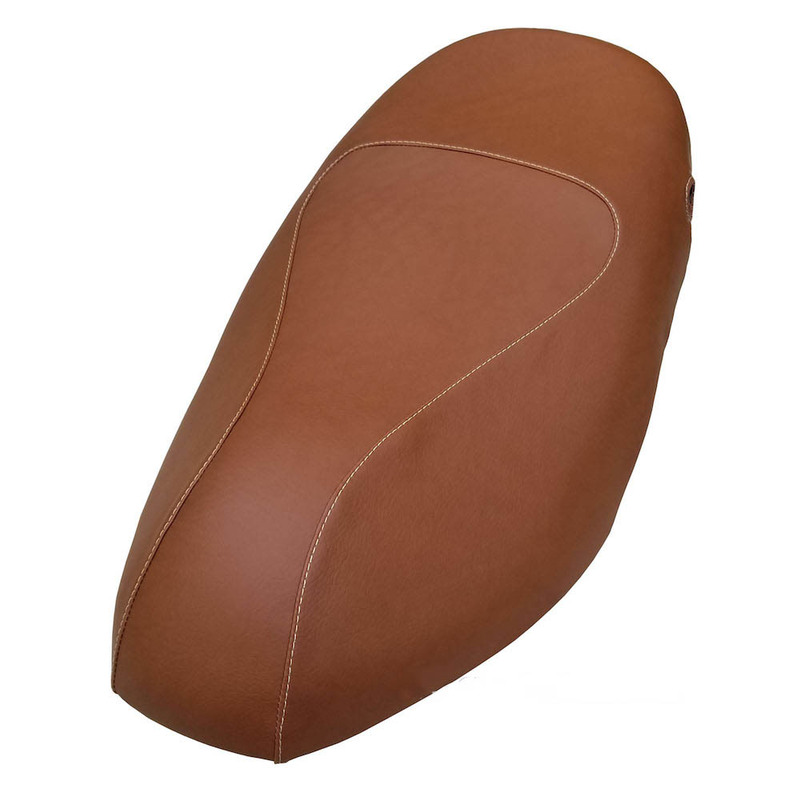 Our stunning matte cinnamon seat cover will give your Piaggio Fly an upscale look at an affordable price. This material has a soft hand, like calves leather, but is waterproof and UV stable, meaning it will not fade. This is a gorgeous seat cover. Like all our seat covers, this item is handmade in our studio in Pennsylvania, designed to give you years of carefree use and withstand any kind of weather conditions. Tailored with beautiful contrasting stitching. Want something different? Check out our other seat covers, our gallery and our fabric section! No tools or staples needed! No need to remove your old cover! No need to cut the holes in your seat cover for your lock and bag hook (on the newer models) We have taken care of that for you. Literally take it out of the package, put it on, and ride off into the sunset. You can staple the cover on if you prefer. 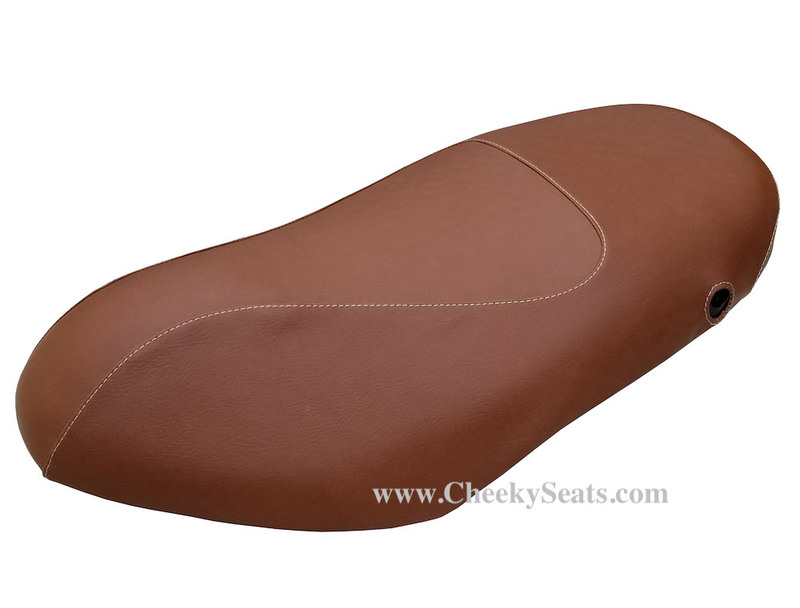 Our impeccably tailored seat covers fit like garments on your Piaggio seat. This is just the kind of signature accessory your scooter is calling for.